Superdry women’s Drop track pants. Part of the core range, these track pants are light weight and provide the ultimate comfort you need while on the move. 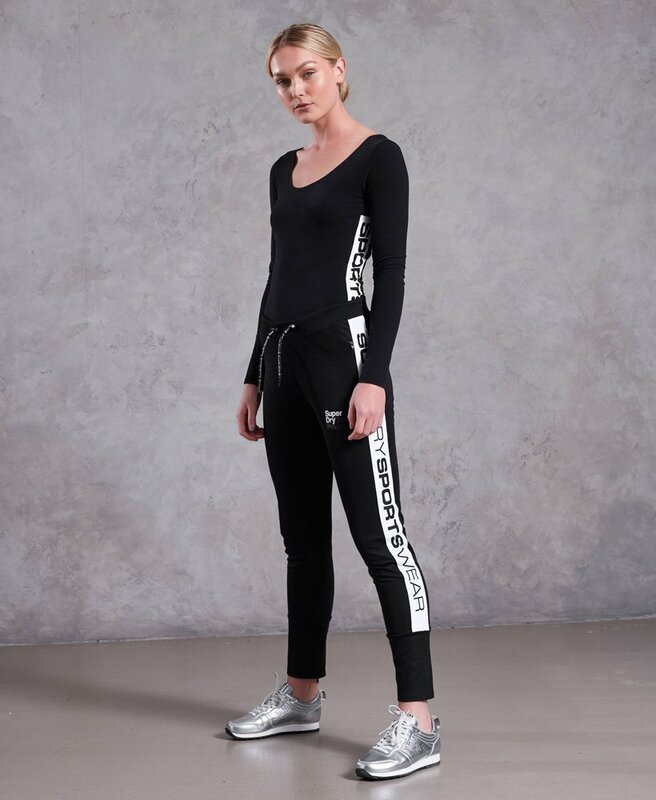 These track pants feature an adjustable drawstring waist, two zip fastened front pockets and Superdry logo branding down the legs. The track pants are finished with a Superdry logo badge on the thigh and zip detailing on the ankles.